Your guide to understanding the crisis that is sweeping through the global financial system and what it means for ordinary people. A House of Cards connects the crisis to the rise and rise of the global corporations. It shows how capitalism’s inbuilt drive for profit and continuous growth has created climate chaos, gross inequality and led to the destruction of human rights. 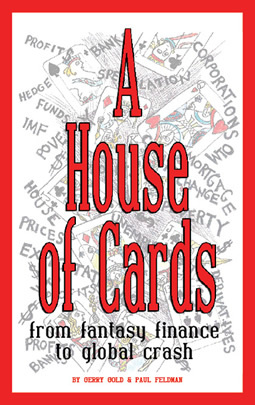 A House of Cards also contains detailed, visionary not-for-profit and sustainable alternatives to the market economy.